And that was the last we heard of Steve-O…until about eight hours later, when he was officially released from prison. 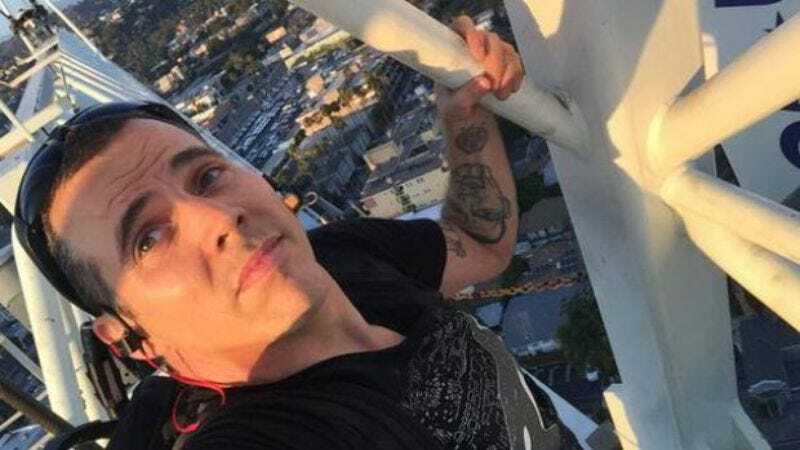 That comes from TMZ, which explained that the official reasoning for Steve-O’s early release was “overcrowding.” That seems like the kind of thing the jail should’ve figured out before he got there, but at least Steve-O (kind of) served his time and (maybe) learned his lesson. Also, while spending eight hours or so in jail probably isn’t a record, spending eight hours or so with Steve-O definitely is, so congratulations to the inmates and staff at the Twin Towers Correctional Facility. You guys are real troopers. Steve-O also posted a photo on Instagram when he got home, referencing a “hilarious mug shot” that we’ll probably never get to see now.